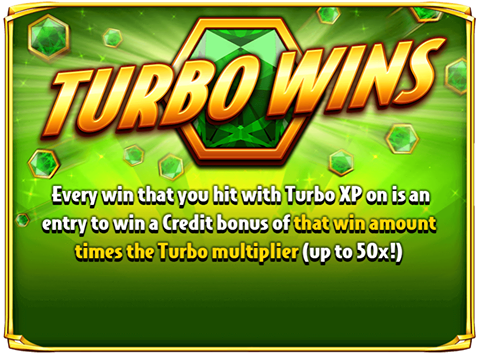 LIMITED TIME ONLY: Every win that you hit with TURBO XP on is an entry to win a CREDIT BONUS of that amount TIMES the Turbo multiplier - which can be up to 50X!! Play now and claim some of those TURBO WINS for yourself! !